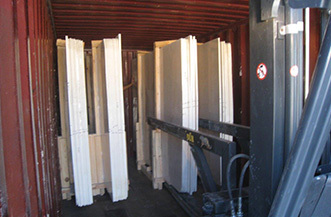 Container lashing and securing are important as packing qualities. Most of the factories / suppliers consider, their work is over as soon as they load the orders to the trucks and they do not care the rest. We have experienced many shipments with excellent conditioned initial packs which have ended up damage that caused to lose time, customer and money for all parties. In Turkey, although we are loading the containers on our premises and do our own lashing (Please see the container loading pictures), not every factory has the capability to load the containers at their premises. Materials are sent to the ports on trucks, then loadings are done at there. In all cases, we have outsourced the production and loaded the containers at the ports; we have appointed professional third party companies when loadings will be done. 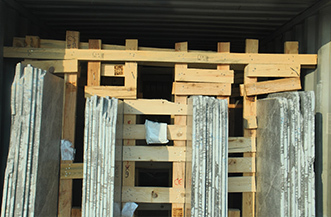 For every shipment, we have the photos of the container loadings. Regarding our experiences, we strongly suggest you to have insurance for sea or inland freights for your containers.